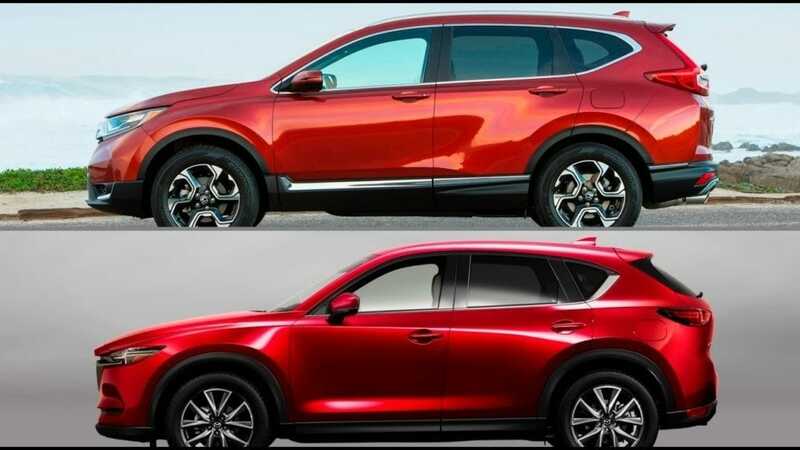 Hurry over to Island Mazda in the Staten Island, NY area to compare the 2017 Mazda CX-5 Vs. 2017 Honda CR-V. Mazda offers new features to keep your second row passengers comfortable and connected. Like ample entrance and exit room, available heated second-row seats, rear air conditioning vents and USB ports in both front and rear center armrests. And for longer drives, reclining second-row seats. Our aim is to always exceed expectations. What else would you expect from Mazda? Every angle and aspect of this best-selling CUV has been improved to make driving better, thanks to over 250 enhancements. With features like a quieter cabin and available stunning Metal Wood trim, Mazda designers and engineers accomplished it all without sacrificing driving dynamics. As a result, this carefully crafted and refined CX-5 archives the impossible: the perfect unity of versatility, spaciousness, innovation and impressive efficiency, with up to an EPA-estimated 31 highway MPG. The interior of the all-new CX-5 is even quieter than its predecessor. Mazda engineers incorporated unique sound-deadening materials such as sound-insulating glass and extensive seal insulation—resulting in a significant dulling of unwelcome road noise. Conversations are clearer. Engine noise and vibrations are diminished. So whether you’re enjoying the peace and quiet of driving alone, talking with your passengers or enojying the ultra clear sounds emitted from available Bose Centerpoint 2 Surround Sound System with AudioPilot 2, your drive is now even more relaxing. The 2017 Honda CR-V interior features in the leather-trimmed and other premium materials, and innovative technologies like a Display Audio Touch-Screen, for a truly high-end feel. A bright digital instrument cluster keeps you informed, with features like the Driver Attention Monitor, an audible and visual alert that can detect drowsy driving behavior. The adjustable parcel shelf can slide into any of three positions to make room for anything from a tablet to your bag. Get ready to show off your leather-trimmed seating, leather-wrapped steering wheel and shift knob, making for a truly premium cabin. Quick-heating seats for the driver and front passenger help keep you warm on cool mornings and excursions during the colder months. Hurry over to Island Mazda in the Staten Island, NY area to test drive the 2017 Mazda CX-5 Vs. 2017 Honda CR-V.